Is there any better feeling than transforming your home’s divided layout into a light, bright, open plan living space, which transitions seamlessly from outside to in? We don’t think so, and neither did our client. 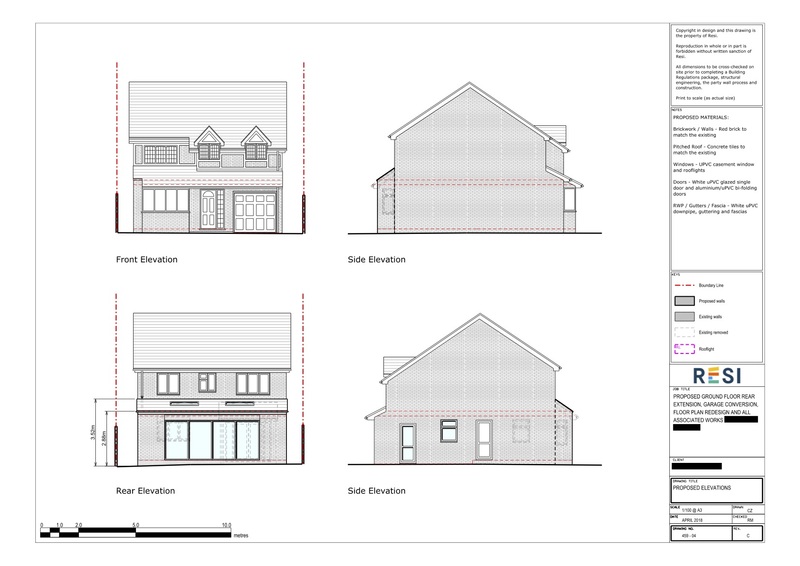 The householder planning permission that was required to accomplish this lovely renovation was granted on 8th August 2018. 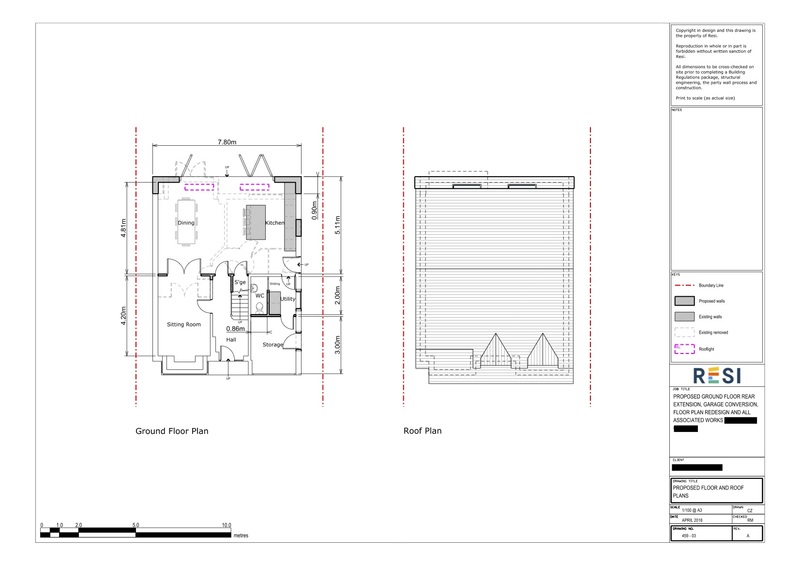 Our client was looking to extend their property out towards the rear, with a garage conversion to better make use of the space they had available to them. The new space was intended to accommodate a kitchen, dining, and living area that was open plan and connected to the garden. Their aim was to have this new room filled with lots of natural light, with better access to the garden. I designed a rear extension that held an open plan kitchen and dining area, with a central kitchen island in order to break up the space. This room had two stylish skylights, and aluminium bifold doors opening out onto the garden. Attached to this space, at the front of the property, was the divided off sitting room, and newly converted garage. This conversion allowed for a WC, utility room, and a large storage space.